As your baby becomes more accustomed to you, your home, her room and crib, her senses become sharper and provide her with more information. 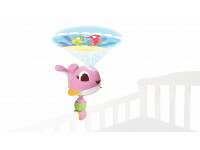 As the days pass your baby's field of vision expands and you will notice that she follows objects that are further away. Her true delight though is looking at faces, and she begins to light up with joy when she sees and hears you. At first, she sees only the contour of your face, but towards the end of the third month she will be able to focus on your whole face. She clearly enjoys her mother's voice, and becomes sensitive to intonations, expressions and sounds. Whether it is rock and roll or classical music, notice how she enjoys listening. As you hold your baby, you can sense just how sensitive her body is to touch – even as she lies on her blanket, feeling the fabric or the soft wind blowing on her body. Baby's mouth is clearly the most developed part of her tactile world. As she starts to bring her hands to her mouth in the third month, this heightened sense of touch is very noticeable. Baby prefers strong, contrasting colors. At the end of the second month, notice how your baby begins to track objects from side to side. During the second month, your baby will make the wondrous discovery of his own hands, bringing them to his mouth. At around three months, your baby’s hand-eye coordination greatly improves. 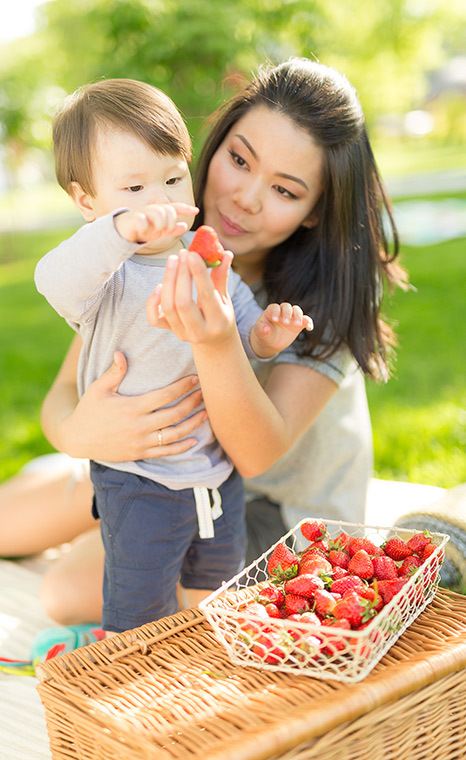 Offer your baby a cascade of sensory stimuli to help develop his five senses. 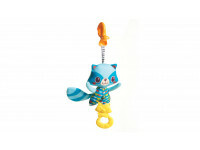 Be certain that the toys, games and stimuli you offer your baby are appropriate for his age and maturity level. 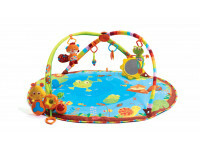 You will see that your baby responds positively to strongly colored toys and objects places at a 8 to 12 inches distance. To stimulate baby's hearing, talk and sing to him often, and play soft music or sounds with ringing bells.